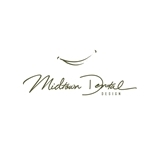 Midtown Dental Design (New York) - Book Appointment Online! Our mission is to provide you with exceptional dental care and set you on the right path to flawless oral health. We are dedicated: Our patients are our top priority. We take the time to listen to each and every one of our patients concerns and desires. Dr. Sadeghi and her well trained staff will sit with you in a private setting to make sure that all of your treatment needs are right for you. We educate our patients on the importance of short and long term hygiene as well as the best treatment options for your specific dental care needs. Dr. Mirjana Sadeghi is dedicated to not only giving you the smile that you dream about but educating you on ALL of the options to get you there. We understand our patients, which is why Dr. Sadeghi’s friendly and informative approach, towards each and every patient’s well-being, will assure you that you have made the right decision.